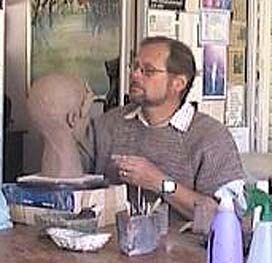 Sculpting is all about seeing the line and levels and the face is the best way to learn that. In 2014 I had a holiday in Australia. 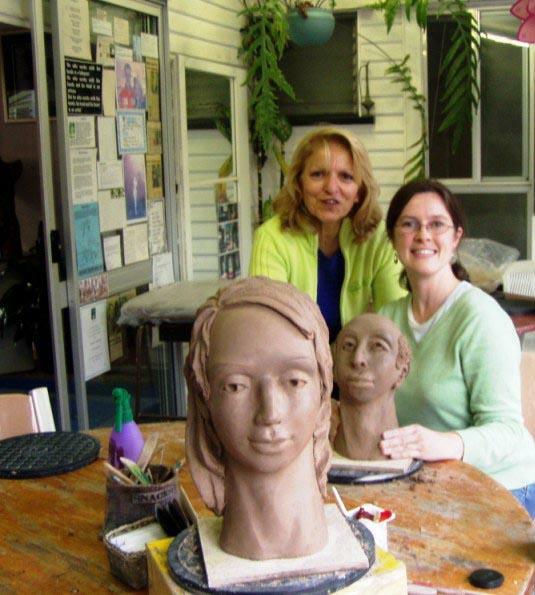 I was fortunate to be able to take a course in sculpting at Georgette’s Art Studio. I was amazed at what I saw the students producing. I loved the ambiance there and everybody was friendly to me. 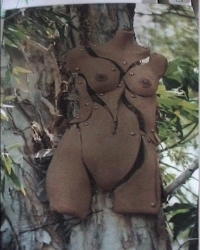 I soon relaxed and under the guidance of Georgette I too had produced a remarkable sculpture. I must add that this holiday was the most therapeutic holiday I have ever had. I can highly recommend her courses. I now have a beautiful finished sculpture in my home on display. Antoinette came from Melbourne for a whole day completing the three session and this is what she took back to Melbourne with her as a reference for her future sculptures. 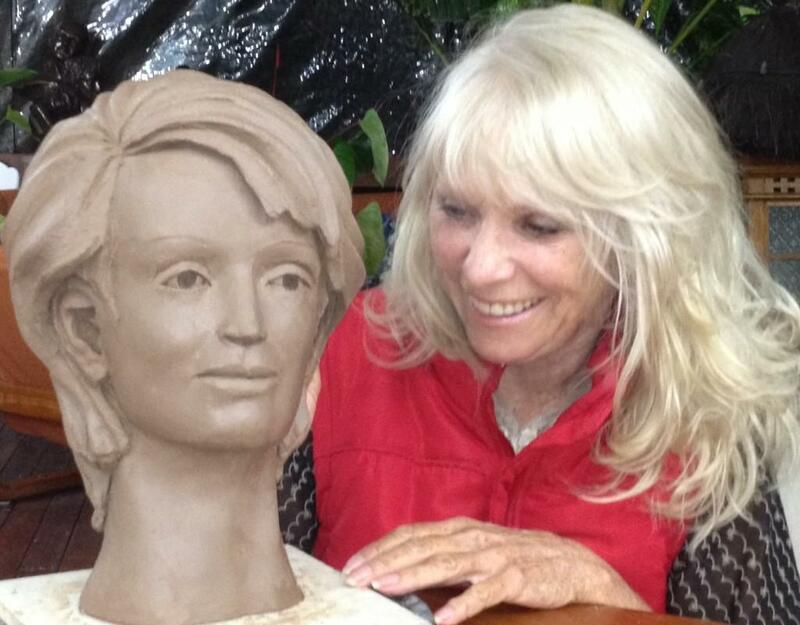 Thank you for making my dream a reality, I had always wanted to do a sculpture class, In Clermont there is not a lot of things to do and I wanted to do something for myself. I found you on the Internet and when I saw photos of what other students were doing, I said to myself " That's what I want to do"
Many thanks for your patience with me, I appreciate it. 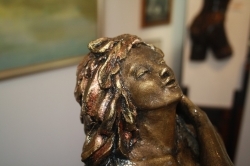 Angela Goff found Georgette's web site while she was pottering in the USA and got so excited that she decided to take a course of sculpting with Georgette, she took back two sculptures with her to Georgia for her freelance and intends to incorporate it with her pottery. I have learned a lot more under you than before...it's the way I learn, too: to have someone give me straight facts, with hands-on directions, then step back and let me struggle with it until I'm ready for the next step= or the correction of the last one, as the case may be. 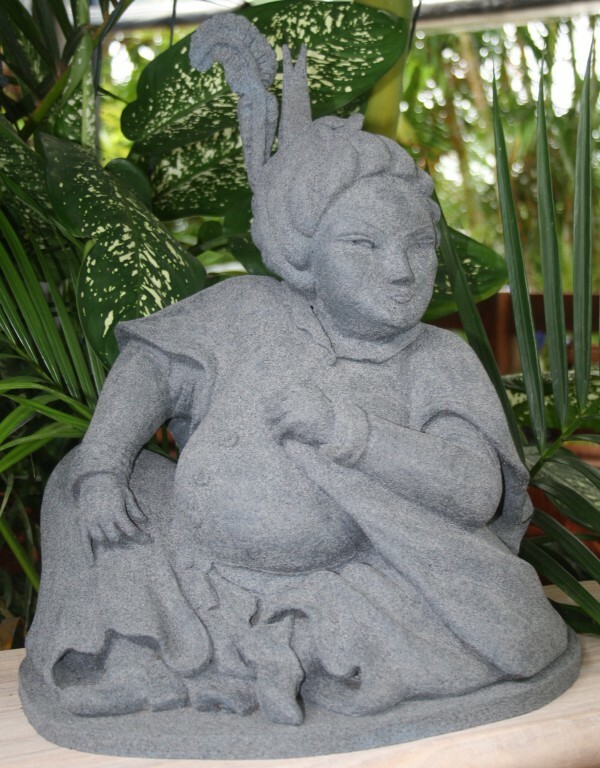 Just the fact that you get to put your hands on the clay straightaway and see other pieces in progress around you is great, it gives you a goal to shoot for, an idea of what you're heading into from the very beginning. Mr Hans Frankham decided on fulfilling his ambition to sculpt and on his retirement came here to take a course on sculpting with Georgette, he completed two pieces while here in Australia and was thrilled with what he had established and learned from Georgette. 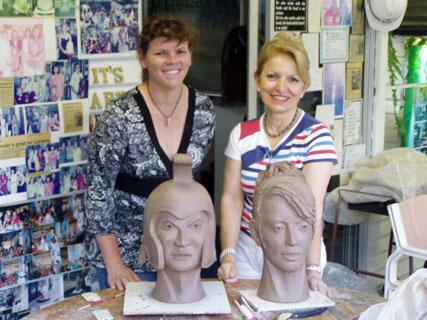 Thank you for being so open with your knowledge, although I have sculpted before in England, your method was quite different and a real eye opener into sculpting. " 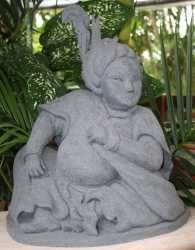 I thought I could sculpt when I came to you"
I thoroughly enjoyed the ambiance of your studio. Take care and thank you again for your tuition.